While businesses are now doing a good portion of their advertising online, all of them are aware that it is never a good idea to put all your eggs in one basket. After all, do you really want to blow your entire advertising budget on a single form of marketing that ends up being a dud? Traditional advertising options are still very much available and alive, with physical magazines still drawing a lot of attention. You need only pick up any magazine and see the number of ads contained within to see that this is still an incredibly effective way to get the word out about your product or service. 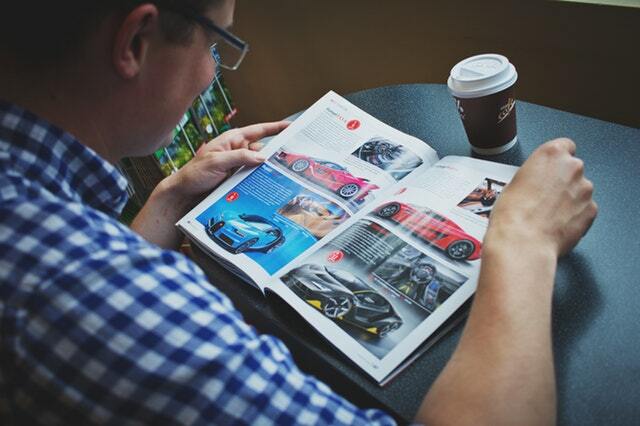 Let us take a look at why it is a good idea to consider advertising in physical magazines, in addition to other digital campaigns. People who buy or subscribe to a certain magazine tend to do so because they trust the information contained within. It is that level of trust that can prove to be very good for your magazine marketing campaigns. There is an instant level of credibility that your ad will receive when it appears in a magazine with a high readership, especially if said publication has been on the market for a very long time. The perception here is that a quality magazine would not accept ads from third-rate or shady businesses. After all, there is a more elaborate process to go through with print ads that simply does not exist online. Websites and digital ads can be created in minutes with just a few clicks with or without any quality control. If you pay attention to online ads, you may have noticed that they are often gone as quickly as they appear. You only have a limited amount of time to get your ads in front of the public, which is not the case with a physical magazine. People very often collect these publications and go through them several times, while others reach a whole new audience if they land in waiting rooms at the doctor’s offices and other public places. Advertising is not just about making sales, it’s also about building your brand, which is more of as long-term task that will eventually lead to more sales. Brand building is all about making the consumer aware of your business and what it is that you are all about. Credibility and trust are two big factors in building your brand, and we have already established that you get those when you advertise in a magazine. One of the benefits of magazine advertising – longer shelf life – can sometimes be a bit of a downside. This is particularly true for advertisers looking to make tactical and direct sales because a time-sensitive promotion that is relevant today may not be in a month or two. Someone coming across a magazine advert after the fact may end up being disappointed that the offer in the ad no longer exists. Magazine and digital marketing can and should go hand in hand with the use of website links and QR codes in a print ad. Additionally, magazine publishers typically have a digital version of the same magazine with online advertising. In those cases, the same print ads can be adjusted and submitted to the publisher's ad server for online readers and subscribers.